It was another very busy weekend for Cobra Traffic Management across the UK. 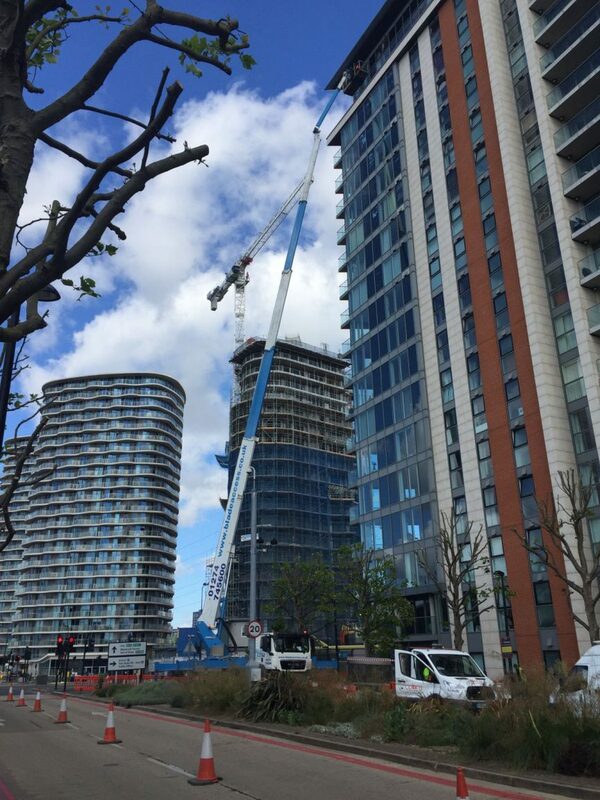 On Sunday, two of our experienced Operatives from our London depot were hard at work closing off a busy section of highway to accommodate a Cherry Picker lift onto the renowned Excel Building in Newham, East London. The ExCeL is an exhibitions and international convention centre that is located on a 100-acre site on the northern quay of the Royal Victoria Dock between Canary Wharf and London City Airport and the high profile works were in order to ensure that glass panels were removed and replaced with new ones. The Contractor specialises in both commercial and private glass fittings and offers provides a service for major projects on schools, shops, bars and leisure centres, Hotels and Gymnasiums and we are proud to be chosen as their Traffic Management supplier, to work alongside them and complete works to a professional, safe standard. The Cobra Head Office team worked extremely hard alongside both the Contractor and the London Borough of Newham street works team, attending meetings and completing all relevant permits to meet the Customers tight schedule and we would like to thank all parties involved for making the Job go ahead within the allotted time frame provided. If you are a company who completes similar works, or any company that requires both Traffic and Pedestrian Management when working on the footway or highway, please don’t hesitate to contact one of our dedicated members of staff for a free quotation today.